Between searching for new apartments and finding someone to take over mine, I’ve not had much time for many new things recently. 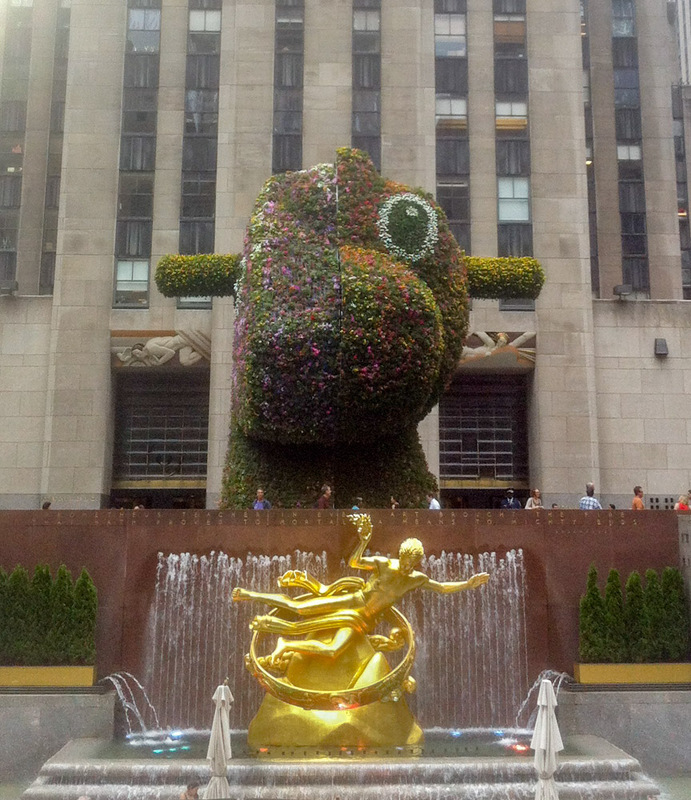 One thing I’ve fancied – but haven’t got around to yet – is Jeff Koons’ new exhibit at the Whitney Museum. But this is New York, so there’s always a much quicker, cheaper alternative – if you need one. 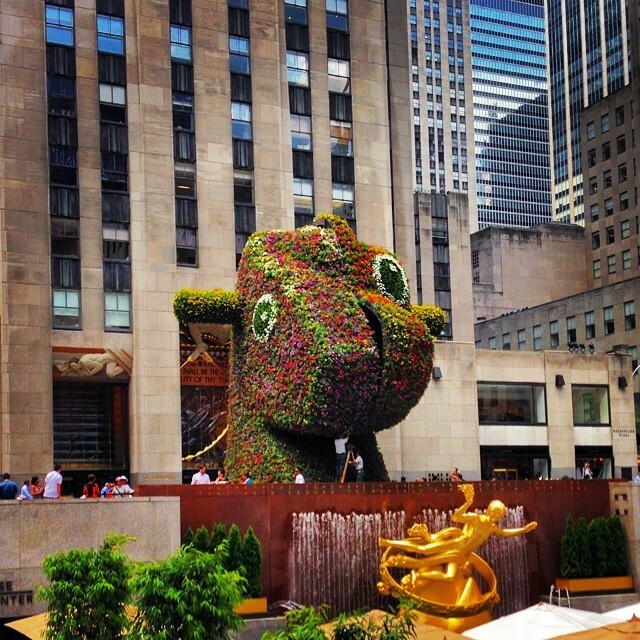 To coincide with the exhibit, the Rockefeller Plaza has welcomed the artist’s ‘Split Rocker’ – a massive half rocking horse, half toy dinosaur that’s covered with flowers. I headed there after work to say hello. It’s very pretty in the flesh, I promise. 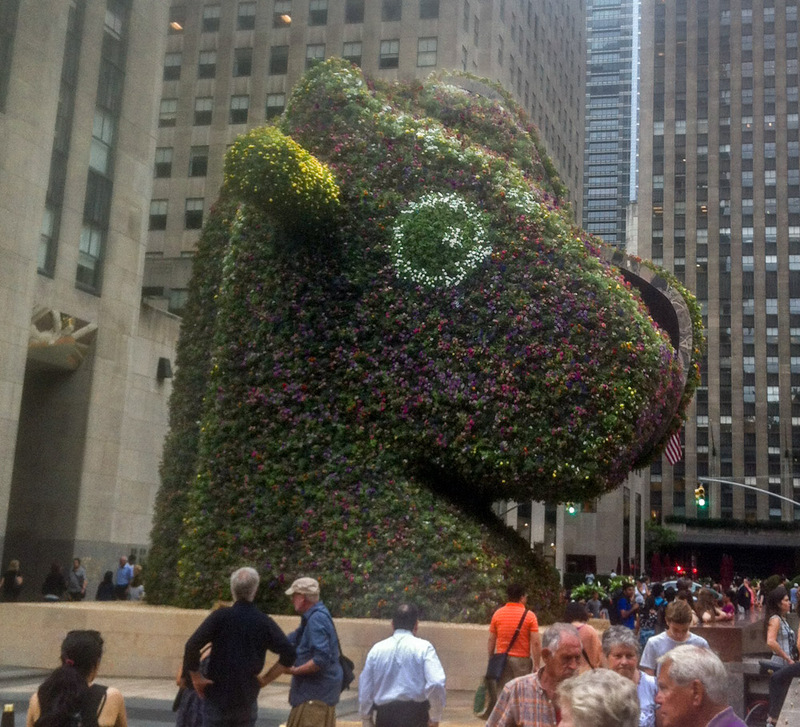 The hollow, 37-foot-high structure is dotted with 50,000 flowering plants and looks over the Plaza’s restaurant and fountains. The location, where the famous Christmas Tree sits in the winter, is a perfect spot for this guy, who’s visiting until September. And for the kids visiting the massive Lego store nearby, the cartoonish figure is a bonus treat. I’m not quite sure how they water it or keep it looking quite so spry, but it’s pretty impressive. Thanks to matthewmcq, internationaljon, kattstrange and artscoopbrasil for the images! You switched from wordpress to self hosted, didn’t you! I’ve been missing your posts! Playing catch up. You still got some pretty good pictures! 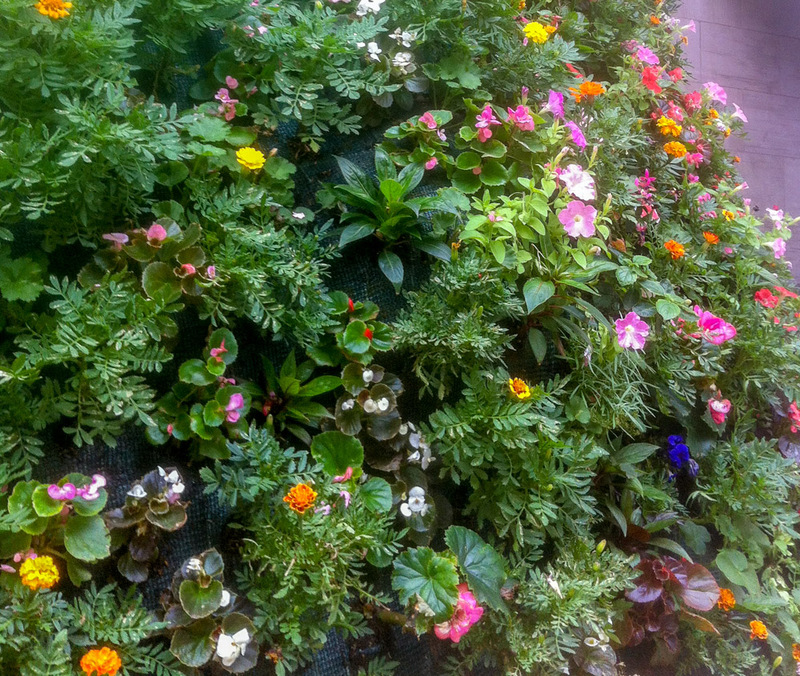 I think they have to constantly change the flowers- what a project.